plays on Region B machine,and has "ABC" on the back. 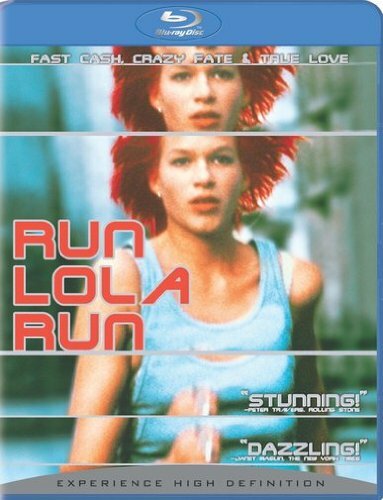 A thrilling post-MTV, roller-coaster ride, Run Lola Run is the internationally acclaimed sensation about two star-crossed lovers who have only minutes to change the course of their lives. Time is running out for Lola (Franka Potente). She's just received a frantic phone call from her boyfriend, Manni (Moritz Bleibtreu), who's lost a small fortune belonging to his mobster boss. If Lola doesn't replace the money in twenty minutes, Manni will surely suffer severe consequences. Set to a throbbing techno score, "Lola's like a human stun gun!" Peter Rainer, New York Magazine.